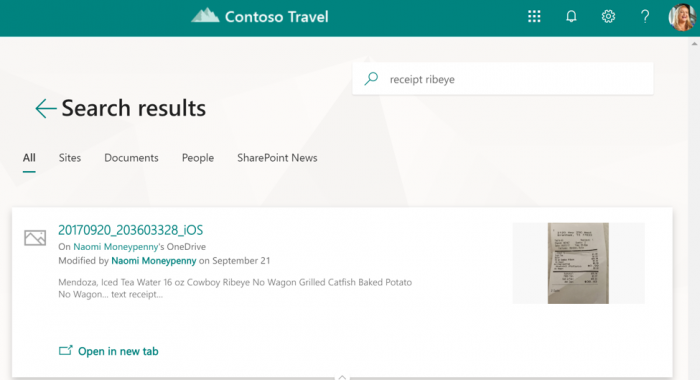 In this month’s update, Microsoft have introduced a personalised intelligent search that allows you to discover and find files. 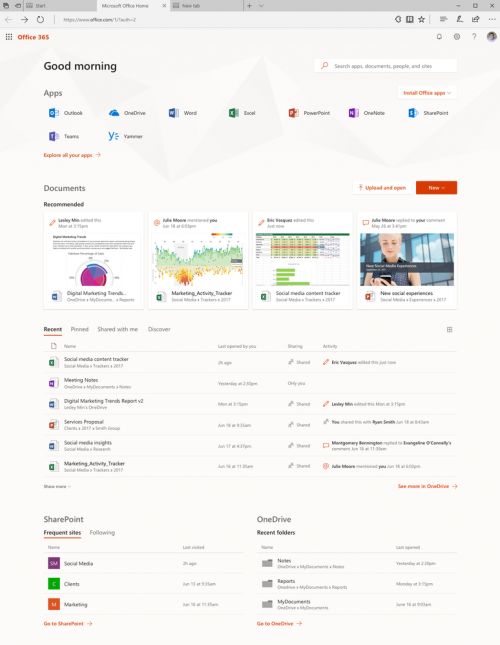 Files such as apps, documents, email messages, company resources, people (the list goes on) within SharePoint and Office 365 environment. Searching for something is now simpler and faster. The smarter interface, with rich previews, enables you to easily identify content with over 270 file types and preview sites. 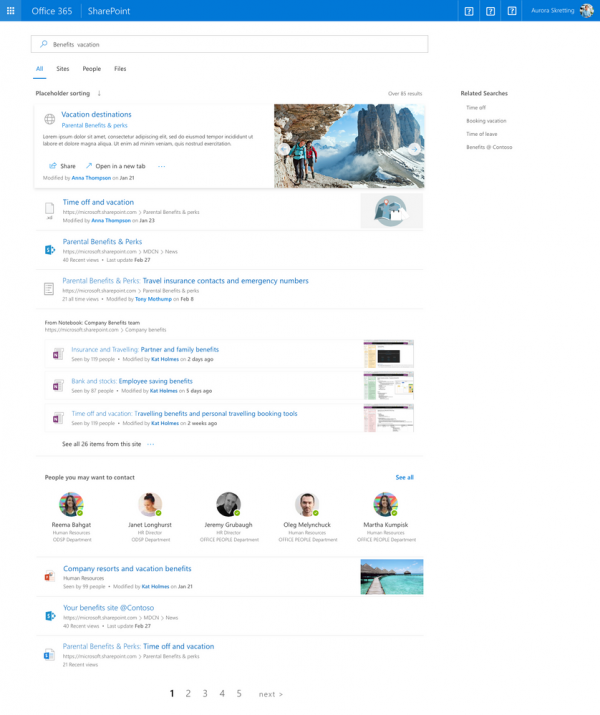 This seach function is powered by Microsoft Graph. When you perform a search, you will get results that are based on insights from the people, sites and documents you work with. The results are then ranked according to your needs and prioritised depending on what will reach your objectives. You can search across your organisation, local devices and Office 365 right from the task bar. Not only that, but image search can help you find an image based on the objects that are in it. For example, a business card or a screenshot. The content of the image is automatically detected and made searchable meaning all you have to do is upload it. As well as this, text within an image is automatically detected, regardless of whether the object in the image was originally printed on paper, or not. Find out more about this new search feature, here.